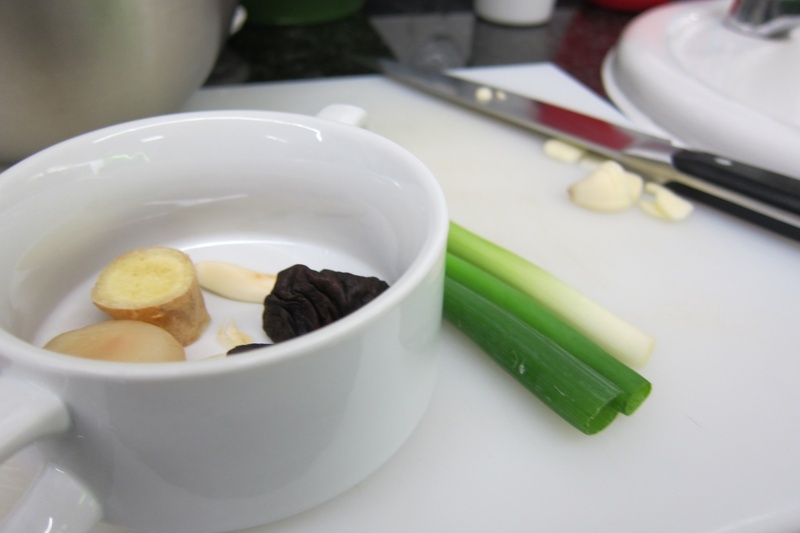 A few years ago at college, Rachel told me that I should have my own cooking show called “Just Add a Cup of Boiled Water.” In the show, I would showcase all of my most advanced recipes: hot chocolate, instant coffee, ramen noodles and macaroni & cheese. Just add a cup of hot water! Stir. Wait one minute. Done. After college graduation, I moved to Beijing and wasted my “learn-to-cook” years on eating cheap street food: steamed pork buns (baozi), crunchy crepes with a fried egg (jian bing) and weird fruit on sticks covered in a sugary glaze (tanghulu). Although recently I’ve learned a lot about cooking from my good friend Jamie Oliver, Chinese food has eluded me. Here’s what I do know: Chinese New Year begins today and it allows you to unabashedly stuff your face full of dumplings without anyone judging you. 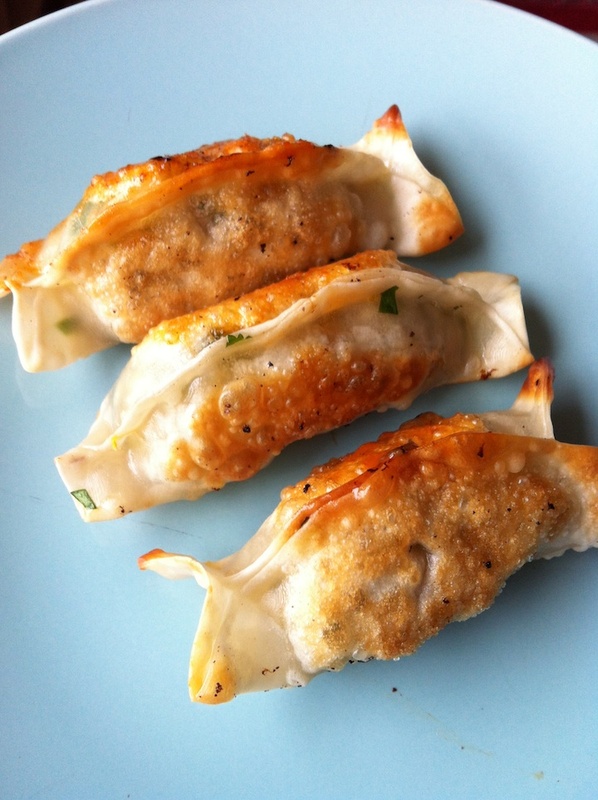 The Chinese consider eating dumplings lucky and associated with financial wealth in the coming year (I recommend you eat a couple thousand of them just to be safe). My friend Jessica Wang (we worked at the same magazine in Beijing) runs Mama Wang’s Kitchen in London. 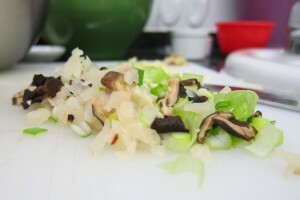 Take the water chestnuts, shiitake mushrooms, green onion, ginger root, garlic and …. 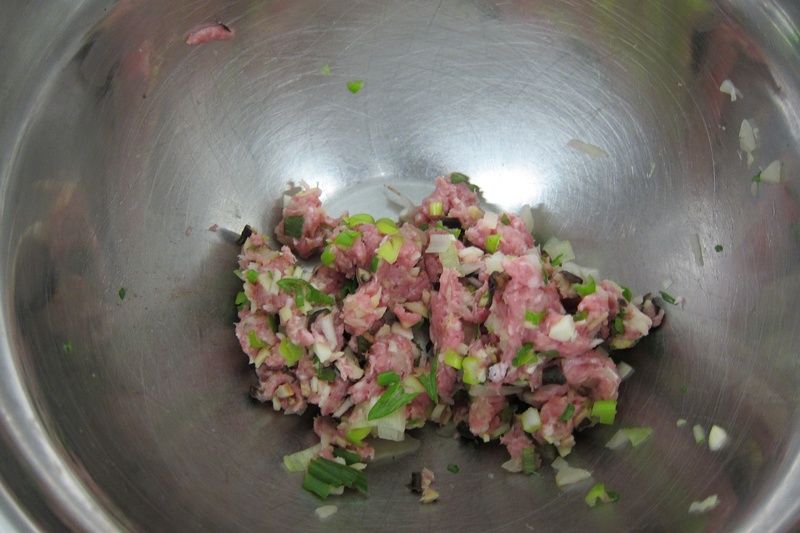 Combine all those ingredients and the dried shrimp with the raw pork mince. Add in the salt, five spice powder, light soy sauce, Shaoxing cooking wine and sesame oil. At this stage, start to boil a pot of water. 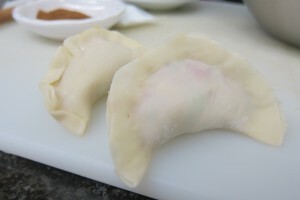 Dip the tips of your fingers in water (THIS IS IMPORTANT) and run them along the edges of the dumpling wrapper so that it is sticky. No adhesive = no sticky dumpling seal = meatball soup. Then, take the bottom of the wrapper and have it kiss the top of the wrapper. Pinch. 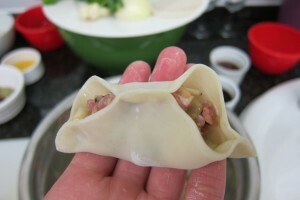 Now, pinch either side of the dumpling, like this (see left). 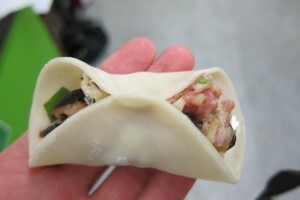 Then continue until the entire dumpling is sealed. Now, go over it again, pinching tightly. And again. Make pleats. 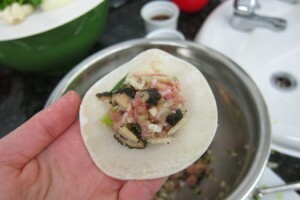 Do this for all the dumpling wrappers and filling. They should look like this (left). Now add them to boiling water until they float to the top (about 5 minutes). Then, they are ready to eat or you can toss them in a pan with some oil for a minute or two to fry them (like the first photo). Hers were much better than my frozen version. Make a dipping sauce with chopped garlic, 1 tablespoon of light soy sauce, a pinch of sugar, a dash of chilli flakes, 1 tsp sesame oil and 1 tsp Chinese black vinegar. And voila! Jessica W. also demonstrated how to hand-pull her signature noodles. She bangs the noodle dough and then pulls it apart like it’s string cheese. Just watch. Eat her noodles (with slow cooked lamb or pork) at one of her London stalls or pop-up restaurants. I sometimes help out as her noodle girl and I can confidently say that pulling the noodles gives you arms like Tracey Anderson and eating the noodles gives you a stomach like Buddha. This must be what the Chinese mean by yin and yang. Happy Chinese New Year! Xin Nian Kuai Le! Or as my dad would say, Gong Hei Fat Choi!